A buildup of probable military assets in areas previously used for North Korean military parade preparations can be observed in recent satellite imagery captured by Planet Labs, analyzed by NK Pro on Friday. The build-up of possible vehicles and soldier formations at the Mirim Airfield in east Pyongyang – visible in several images of the area taken in recent weeks – suggests preparations could be afoot for a military component to be included in festivities to mark North Korea’s 70th foundation anniversary on September 9. The images follow an unnamed ROK military source telling South Korean media on Thursday that they expect a military parade to take place at the September 9 event, uncertain – however – as to what kind of vehicles or weapons might be on display. The size and confirmed inclusion of any military component at the forthcoming anniversary event is not, however, clear from available commercial satellite imagery. But notably, satellite imagery shows indicators of activity at an area of the grounds used routinely in the past for vehicle manouver training ahead of major North Korean military drills. 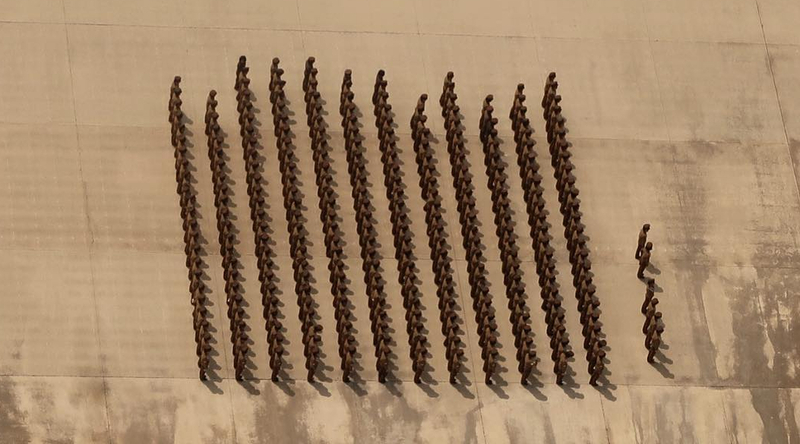 Rows of what therefore may be military vehicles can be seen appearing at the location sometime between July 7 and 14, the imagery shows. 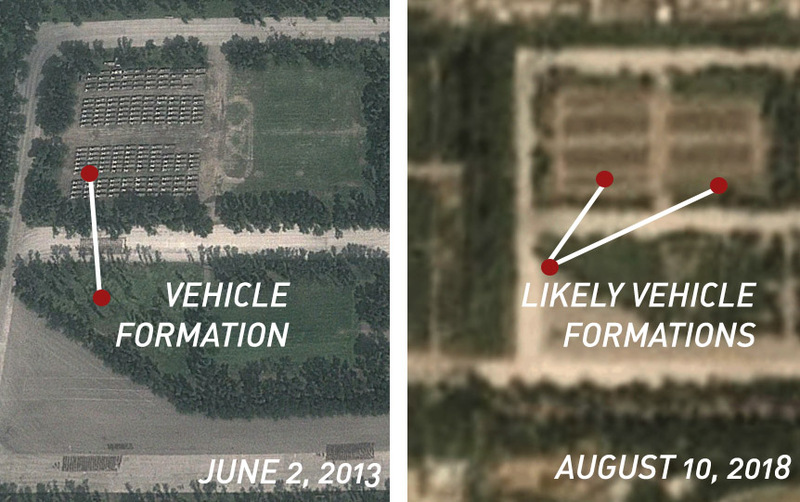 Imagery dated August 10 appears to more clearly show what appear to be military vehicles assembled in formation. Meanwhile, an adjacent helicopter runway and training grounds also show signs of activity, with imagery analysis and comparison to higher resolution imagery ahead of prior parades suggesting temporary housing to have recently been erected there. And signs of other activity – likely troop movements – can be observed in an area of the facility used in prior years for troop drill practice ahead of military parades. 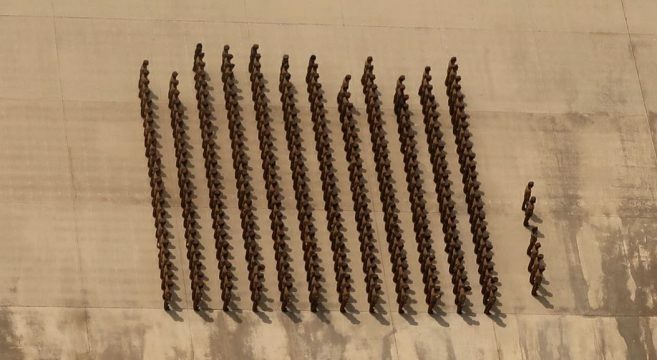 First appearing around two months before the September 9 holiday, the July-timing of activities observed at the location is notably similar to the lead-time of preparations seen ahead of previous military parades. In particular, higher resolution Google Earth satellite imagery shows the presence of vehicles and storage of equipment at the same Mirim location in the months prior to military parades that took place in 2010, 2012, 2013, 2015, 2017, and 2018. The presence of vehicles at Mirim does not, however, always imply that preparations are underway for military parades in North Korea. While military vehicles appeared at the same area before the July 27 parade in 2013, imagery showed them subsequently being moved around the same area until between November and December that year. No large military parades were known to have taken place around that period. Meanwhile, sources in Pyongyang were of mixed opinions about whether or not a major military parade would take place as part of forthcoming September 9 celebrations. One resident of the city told NK News on condition of anonymity they saw “not a single hint of a military parade,” suggesting the scheduled torch parade and mass game events would be sufficient for North Korean authorities to celebrate the event. However, another regular visitor said they thought the nature of the significant political anniversary increased the possibility of there being a “huge” military parade. Training drills related to the forthcoming festivities have been observed in recent months in major areas of Pyongyang. These included torch march preparations in Kim Il Sung square, training outside the May Day stadium, and women in khaki military outfits – not typically included as part of the torch march – spotted practicing along the banks of the Taedong river. 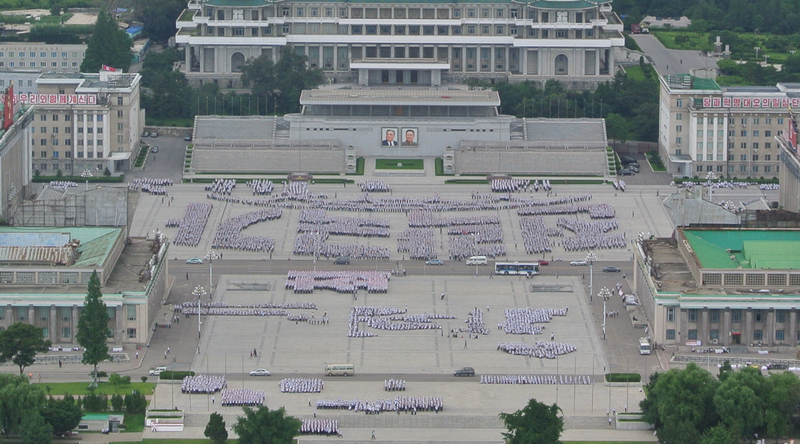 October 2015 was the most recent time both a military parade and torch march (or “torchlight procession”) took place in Kim Il Sung Square on the same day. The torch march, which typically involves the participation of tens of thousands of civilians, is expected to take place in the square this year after prior daytime parade events and accompanying festivities. Practices for the torch march have been ongoing in the square since at least mid-June, with young school children since observed practicing there sometimes multiple times per week. North Koreans there have been seen holding mock paper torches and marching in formations, spelling out the same words and icons as seen in past marches.